People have different types of skin. Not everyone’s skin is the same, and it is wrong to think that the same skincare routine will work for everyone. Customized skincare routines keep people from forming problems while keeping problems from getting worse. One benefit of a customized skin routine is that if you are allergic to any substances that are used in skin care products, the products that choose for yourself will not have them. For example, some people may be allergic to vitamin E. If that is the case, then a customized skincare routine will not have that ingredient in it. There are also many other ingredients that people may either be sensitive or allergic to. 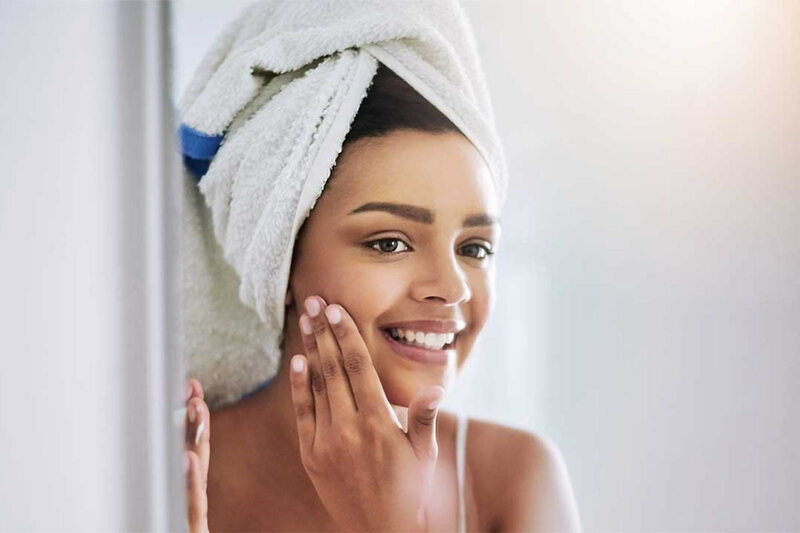 It is also important to have a customized skincare routine because of the fact that some things that you do to your skin might not mix well, or as well on your skin as on other people’s skin. Another benefit of customized skincare routines is that they address the problems that each individual person has. For an example, one person may have dry skin while another person may have oily and shiny skin. One person may have a little bit of dry skin while another may have skin that is heavy chapped, cracked and bleeding. There are people who have precancerous cells on their skin. As a result, their skincare routine may involve putting certain creams on their faces. People who have fungal, bacterial and/or viral infections may have skin routines that include smearing certain medicines on their skin or taking pills. For example, in the case of ringworm, a person has to put cream on the infected area. When it comes to cold sores, some people take pills to keep them from happening. If someone has neurodermatitis, the best thing may be to not take treatments for skin issues and to just keep one’s hands off the irritated areas. Some people get keloids. Keloids are inflamed-looking scars that grow from an area that has initially been injured. Cuts, severe acne and burns cause keloids to form. People from many different types of backgrounds get keloids, though they frequently occur in people of African heritage. The fact that some people get raised scars from cuts and others don’t show how different people’s bodies are from each other. The existence of keloids is another reason why personalized skincare routines have to exist. A person with keloids should avoid substances and routines that could irritate his or her skin. People with fair skin have to particularly pay attention to sun protection. Of course, everyone of every skin shade has to think about sun protection because anyone of any complexion can get skin cancer from the sun. However, people of fair skin tones are especially susceptible to the damaging rays of the run. So, everyone—especially lighter skinned people—should consider skin products that include SPF values. Skincare items with SPF values help protect one’s skin by lessening the risk of skin aging and skin cancer. A large part of someone’s skincare routine is his or her behaviour. This is because a person’s actions affect his/her appearance. Skincare involves what you put into your body and your habits—not just the things that you smear on your skin or take medicinally. For example, if you are thinking about making methamphetamine use into a regular habit, look at the picture of “meth heads” online and think again. Within the course of a few years, people who abuse meth end up looking 20 years older. However, it doesn’t just drastically change your skin, it also changes the shape of your face. Other drugs, as well as cigarettes and alcohol, also destroy people’s skin by making premature aging happen. However, there are many shocking examples online when it comes to meth abusers. Proper nutrition is also a crucial part of a proper skincare routine. Eat a balanced diet with fruits, veggies and various sources of protein and fats. Stick to foods and ingredients that are healthier. For example, it may be a good idea to put olive oil in place of butter. Eat whole foods, opposed to processed foods will with things that you don’t have to consume. If you are a skin picker, then you should quit the habit. For those who do not understand, there are some people who pop pimples, blackheads and whiteheads out of habit. This results in red, irritated skin with worse acne on it than what was there. Exercise, which is a part of keeping good health, is also an integral part of keeping skin healthy and should be considered part of a skincare routine. You don’t have to be a bodybuilder or act like you are trying to win an Olympic medal. However, you should fit physical fitness into your life so that your skin will look healthier. These are the reasons why personalized skincare routines are important. It is just common sense that one size does not fit all when it comes to skincare routines.